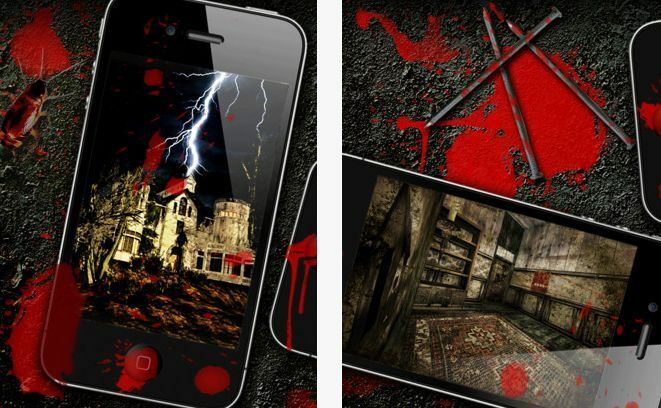 Haunted Manor: The Secret of the Lost Soul is one really amazing iPhone game that was released in late August and has proven to be a great hit because of its great challenge and story and overall gameplay experience. However, since the game is also very difficult, a walkthrough might come in handy and I am here to kick off the discussion for the Haunted Manor: The Secret of the Lost Soul walkthrough, where we should share hints and tips and help each other complete this wonderful game. – tap the door and then select the symbols – the door’s knob will turn blue and you can open the door now. – after entering the manor, wait a while for the lights to go off. Don’t be scared, but you’ll get injured and wake up a bit later in a room that’s really spooky. – Take the bear from the electrical chair. – Go to the bookshelf and use the key on the cabinet beneath to get a rod. – Go back to the electrical chair and use the bear with it to put it there once again. Then, place the rod on the wall with the combination lock to create a lever. Type the code we found earlier (4863) and pull the lever. – The chair moves and you can exit the room! And this is it! The trial version is over, but a full, complete game is coming soon. Feel free to comment below to complete it when the full version of Haunted Manor: The Secret of the Lost Soul releases.